This entry was posted in Auto Insurance, Auto Insurance News, Blog, Car Insurance, Car Safety Tips on 06/19/2017 by Alejandra Vazquez. The Bay Area can be a great place to work, but sometimes commuting can be a struggle. If you are living in the South Bay in areas such as Daly City, the good thing is there are plenty of commuting options at your fingertips. Here are four popular ways to get around that will help make your work/life balance a success. If one must drive at least partially to get around the East Bay, reviewing car insurance rates is a great start. If you will be braving the roads to get in and out of San Francisco, there may be no need to put yourself out there during peak commute times. 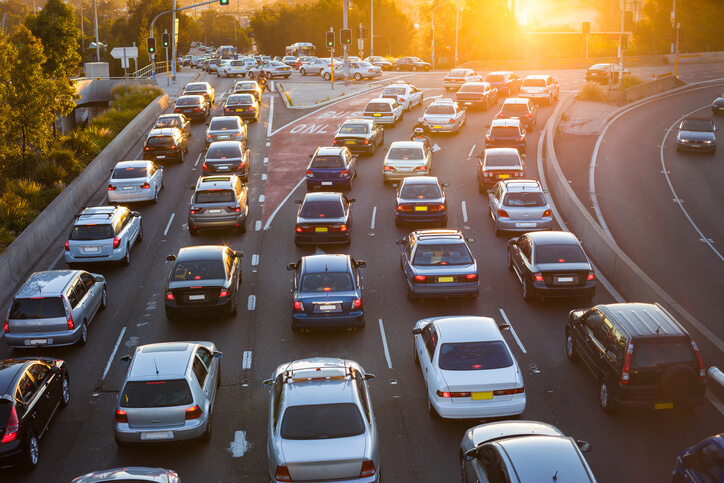 Adjusting your hours to an early or later schedule can help you avoid sitting in traffic with everyone else. Peak commute hours tend to be around the traditional 9 to 5 work day, so avoiding that timeframe can save time and frustration. If you have a set schedule that cannot be rearranged, looking into public transit might be a better way to get to work on a more regular schedule. While some may feel more comfortable braving the roads in and out of San Francisco, public transportation can have its own perks. Catching a ride can help minimize stress levels stemming from traffic and other drivers. The main public transportation options for getting into the city from the South Bay and towns such as Daly City are SamTrans, CalTrain, and BART. While these options have associated costs and parking can be a few dollars, these costs are low compared to the price of parking in the city and vehicle wear-and-tear. If some of your job’s tasks can be done from home, taking advantage of telecommuting can be a great way to cut down on commute time that could be better used for your workday. Telecommuting might be something you set up on a weekly basis or a strategic plan on foggy or rainy days. Using the Caltrans smart map is a good way to stay informed of accidents and major delays to help you decide if working from home is a better idea. Another great way to get in and out of the city easily is to be a part of a neighborhood carpool or a scheduled designated carpool within your workplace. This can cut down on gas costs and mean fewer cars on the road, which is a better option for the environment. Your car insurance rates should especially be up-to-date if you will be driving others to and from the city. Other options are vanpools or even shared taxi pick-ups to get everyone downtown together without as many cars involved.